Custom fabricated sapphire optical domes that are ideal for protecting cameras, guidance systems, sensors, and other devices in weapons systems are available from Meller Optics, Inc. of Providence, Rhode Island. 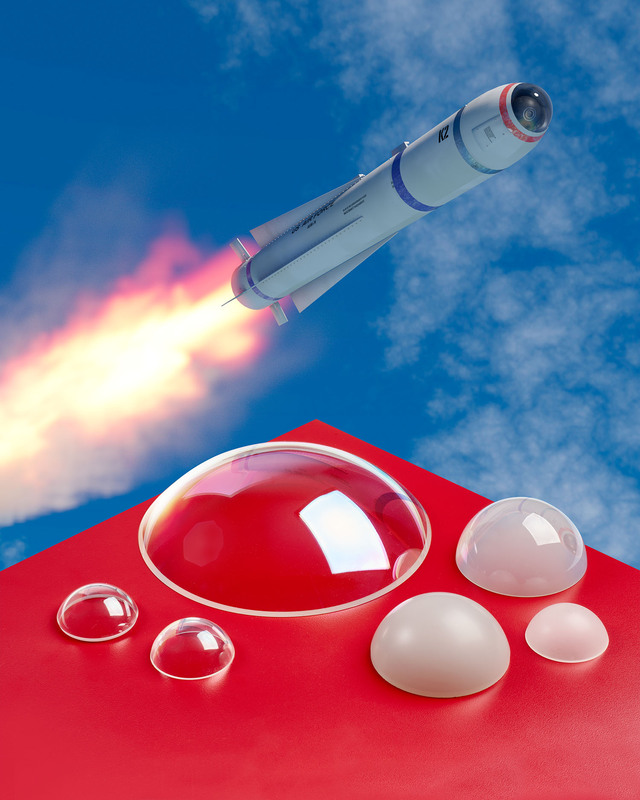 Meller Sapphire Optical Domes feature Mohs 9 hardness, which is second only to diamond, and create a clear protective cover for optical and electronic devices at the front surface of missiles and drones. Custom fabricated in sizes up to 6” O.D. that can incorporate steps and profiles for mounting purposes, they are highly resistant to fast moving dirt, sand, and water. Capable of withstanding pressure to 10,000 psi and 1,000°C, Meller Sapphire Optical Domes provide up to 85% transmission uncoated from the UV to IR and 99% transmission when anti-reflective coated on both sides. Offering 160 degree maximum included angles to extend the viewing angle of missile guidance systems, they exhibit surface accuracy to < 1 fringe @ 633nm and finishes to 20-10 scratch-dig per MIL-PRF-13830. Meller Sapphire Optical Domes are priced from $350.00 each, depending upon configuration and quantity. Price quotations are provided upon request.